Watermarke Properties, Inc. a Regional Real Estate Developer purchased Corona Plaza, a struggling shopping center in the heart of Downtown Corona with the intent to tear down the existing 178,000sf shopping center and to redevelop the property into a transit oriented, mixed-use community. As part of the redevelopment acquisition process, 43% of the existing Corona Plaza tenants had vacated or were in the process relocating at the time L & S Management (L&S) assumed management responsibility. Because of dire economic conditions both locally and nationally, redevelopment plans were put on an indefinite hold. The developer, having acquired a vibrant retail center at the “top of market value,” suddenly found itself scrambling to mitigate the substantial carrying costs of the property until the economic conditions improved. In addition, relocation benefits had to be paid to each of the tenants who vacated the shopping center as a result of their proposed project. The cost of these benefits ranged from the tens of thousands to over one-million dollars per tenant. As you can appreciate, the need to re-capture as much of these exorbitant costs as soon as possible was significant! Rite Aid, the second largest anchor tenant, had vacated the shopping center leaving not only a large vacancy but a significant drop in the average daily trips to the center. 4 vibrant restaurants, Lamppost Pizza (5,000 sf), Jitters Café (1,500sf) World BBQ Buffet (6,000sf) and Villa Amalfi (a two-story, 8,000sf), successfully operated in the center prior to acquisition. At the time L & S assumed management responsibilities only Lamppost Pizza remained open. The developer’s original goal in acquiring this property was redevelopment. To demolish the existing improvements and construct a modern, cutting edge urban community. With that desire on the horizon, the lease terms offered to new prospective tenants were limited. The standard three to five-year lease terms, with usual option periods were not offered or available. Therefore, new prospects were faced not only with the knowledge their tenancy would be limited to one or two years in general, but also that through a “post-acquisition” agreement as part of each lease document, that there will be a redevelopment project which will displace their business in the near future and they will not be entitled to any relocation benefits at the time the property is redeveloped. These extreme leasing conditions presented no small set of hurdles for a small business person who would be investing their time, money and effort into starting or relocating their business to Corona Plaza. L & S worked with the property owner to develop a strategy to mitigate the cost to carry this specific asset during this interim period, as well as a strategy to bring new tenants and uses that would benefit their significant investment in an adjacent project currently under construction and ultimately bring value to the redevelopment of this specific asset. The developer’s original goal in acquiring this property was redevelopment. Our first step was to bring identity and interest to this shopping center -specifically to the Corona North Main redevelopment project area. L&S arranged several strategy sessions with the Corona Redevelopment Agency for solutions. After researching the community and noting its rich history in agriculture, L&S suggested bringing a Farmer’s Market to the premier, corner lot location. All agreed it was an excellent idea and L&S took on the task of finding an appropriate operator. This was no easy task. 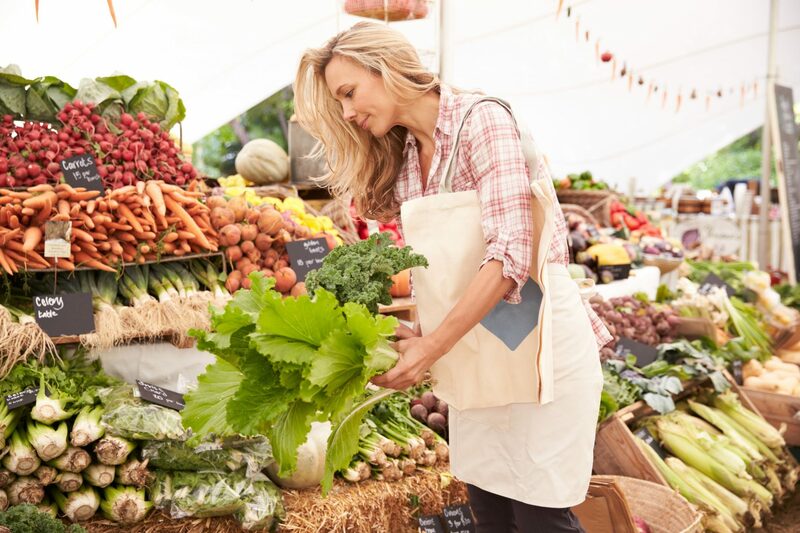 During the due diligence process, our staff discovered that several other Farmers Markets had failed at higher profile locations, or newer shopping centers, with higher demographics. 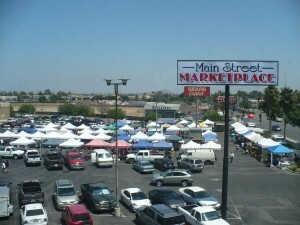 We visited Famers Markets from as far north as the San Fernando Valley to as far south as Temecula. 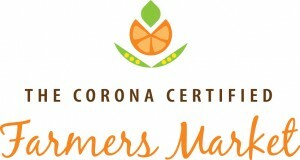 After a six month search, Farmer’s Market Management Co. was selected as our vendor of choice to operate the new Corona Farmers Market. Concurrently with the Farmers Market search, the developer and L & S created a strategy to attract and capture a small pool of tenants looking to lease retail space in this uncertain, uncharted economic environment. A re-branding of the shopping center from Corona Plaza to Main Street Marketplace occurred. A large monument sign was re-faced with the new name. A fresh coat of paint with a contemporary color palette rejuvenated the tired façade. Attention to landscape and minor maintenance issues re-positioned Corona Plaza to Main Street Marketplace now visually competitive with other surrounding shopping centers. Because of the huge constraints that the Developer’s ultimate goals of redevelopment created for potential tenants, they had to be wooed. L& S Management developed an aggressive strategy to maximize cash flow with minimal investment to the Developer. This included being the low cost leader, giving lease rate incentives if tenants did their own space improvements, and offering select tenants an exclusive negotiating period to lease space in the new proposed project. A strong focus by the L&S marketing team was also placed on generating community activity and awareness at the shopping center through not only the Farmer’s Market, but car shows, carnivals, circuses and hosting charitable events. Not only did this create good will, but these activities proved a powerful draw to the property. The Farmer’s Market alone draws on average 2,500 to 3,000 people every Saturday morning, proving an invaluable tool for keeping tenants happy and supporting active leasing efforts. When L & S took over the management of the Main Street Marketplace tenant occupancy increased from 57% to over 85%. Despite all of the challenges created by the restrictive leasing requirements, L & S leased every single vacancy which generated substantial cash flow to the property owner. This fete also increased customer traffic to the remaining businesses in the shopping center, thereby enhancing their revenue and viability. But perhaps the most important contribution by L&S was to provide sustainability for the identity of this property in the minds of Corona residents. What could have sat vacant and unused was instead revitalized and the Farmer’s Market and family events held there created a sense of community which will continue to enhance its value – even as the new Main Street Metro project rises. Working on this project and creating long term value not only for property owner, but to the entire city of Corona is a real sense of pride and accomplishment for us at L & S Management.